Are you looking for a Pawn Shop in Ontario? If you’re looking for a top-notch pawn shop in Ontario CA, then you can stop the search right now! Central Mega Pawn Shop on Central Ave. is the place for you. As one of the best pawn shops the Inland Empire, we have been around for more than 15 years. Our Ontario pawn shop is a dependable and trustworthy business for members of the community. While other pawn shops are inconveniently located throughout Los Angeles, our Ontario pawn shop is a short drive away from wherever you are. We Purchase Gold and More! At Central Mega Pawn Shop, we not only purchase gold, but silver, platinum jewelry, diamonds, rare coins, and timepieces. We purchase a wide range of collectibles. If you’re ever uncertain about what we buy, simply visit or call us for more information! We’re always happy to help customers. We regularly purchase musical instruments, cameras, and electronics. If you have any valuable items just sitting around in your home collecting dust, don’t allow them to go to waste. Sell them to us and get cash back for them! If you need an excellent pawn shop in Ontario, don’t waste time with any of the others. Central Mega Pawn Shop can provide you with the A+ service you deserve. As top jewelry buyers, we can give you top-of-the-line prices for your jewelry, diamonds, gold, watches, and collectibles. 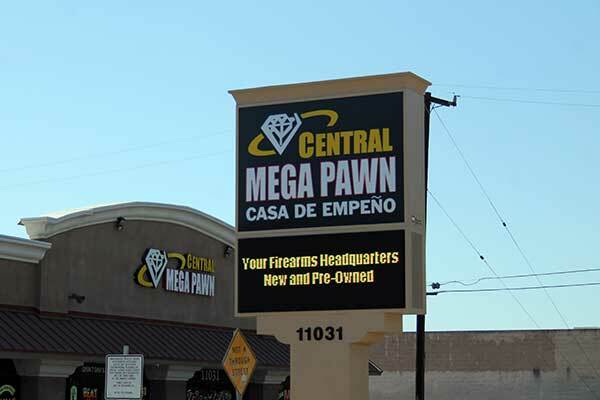 Swift and efficient service is the goal at Central Mega Pawn. All you have to do is visit us, present us with your items, then go on your way with extra cash in hand!